Match ends, Osasuna 1, Real Betis 2. Second Half ends, Osasuna 1, Real Betis 2. Álex Martínez (Real Betis) wins a free kick in the defensive half. Goal! Osasuna 1, Real Betis 2. Felipe Gutiérrez (Real Betis) from a free kick with a left footed shot to the bottom left corner. Álex Alegría (Real Betis) wins a free kick in the attacking half. Foul by Unai García (Osasuna). Attempt saved. Roberto Torres (Osasuna) right footed shot from outside the box is saved in the centre of the goal. Delay in match De las Cuevas (Osasuna) because of an injury. Álvaro Cejudo (Real Betis) is shown the yellow card for a bad foul. Foul by Álvaro Cejudo (Real Betis). De las Cuevas (Osasuna) wins a free kick in the attacking half. Substitution, Osasuna. Fausto replaces Sergio León. Darko Brasanac (Real Betis) is shown the yellow card for a bad foul. Emmanuel Rivière (Osasuna) is shown the red card for violent conduct. Foul by Darko Brasanac (Real Betis). Emmanuel Rivière (Osasuna) wins a free kick in the defensive half. Attempt saved. Felipe Gutiérrez (Real Betis) left footed shot from a difficult angle and long range on the left is saved in the centre of the goal. Attempt saved. Aissa Mandi (Real Betis) header from the centre of the box is saved in the centre of the goal. Assisted by Felipe Gutiérrez with a cross. Corner, Real Betis. Conceded by Oier. Substitution, Real Betis. Álex Alegría replaces Joaquín. Substitution, Real Betis. Rubén Castro replaces Antonio Sanabria. Delay in match Germán Pezzella (Real Betis) because of an injury. Delay in match Emmanuel Rivière (Osasuna) because of an injury. Offside, Real Betis. Felipe Gutiérrez tries a through ball, but Germán Pezzella is caught offside. Petros (Real Betis) wins a free kick in the attacking half. Foul by Didier Digard (Osasuna). Attempt missed. 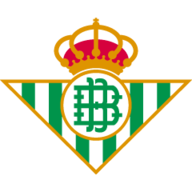 Antonio Sanabria (Real Betis) header from the centre of the box misses to the left. Assisted by Álvaro Cejudo with a cross. Antonio Sanabria (Real Betis) wins a free kick in the defensive half. Corner, Real Betis. Conceded by Unai García. Petros (Real Betis) wins a free kick in the defensive half. Foul by Emmanuel Rivière (Osasuna). Foul by Miguel Flaño (Osasuna). Attempt missed. Álvaro Cejudo (Real Betis) left footed shot from outside the box is high and wide to the left. Corner, Real Betis. Conceded by Nauzet. Attempt saved. Antonio Sanabria (Real Betis) right footed shot from outside the box is saved in the top centre of the goal. Assisted by Petros. Attempt missed. Antonio Sanabria (Real Betis) header from the centre of the box misses to the right. Assisted by Álex Martínez with a cross. Substitution, Osasuna. Jaime Romero replaces Alex Berenguer. Attempt missed. Joaquín (Real Betis) left footed shot from the centre of the box is close, but misses to the left. Assisted by Cristiano Piccini with a through ball. David García (Osasuna) wins a free kick in the defensive half. De las Cuevas (Osasuna) wins a free kick in the defensive half. Substitution, Real Betis. Darko Brasanac replaces Jonas Martin. Foul by De las Cuevas (Osasuna). Roberto Torres (Osasuna) is shown the yellow card for a bad foul. Substitution, Osasuna. Emmanuel Rivière replaces Oriol Riera. Attempt blocked. Antonio Sanabria (Real Betis) left footed shot from the left side of the box is blocked. Attempt blocked. Germán Pezzella (Real Betis) left footed shot from the centre of the box is blocked. De las Cuevas (Osasuna) is shown the yellow card for a bad foul. Felipe Gutiérrez (Real Betis) wins a free kick in the attacking half. Álvaro Cejudo (Real Betis) wins a free kick in the attacking half. Attempt missed. 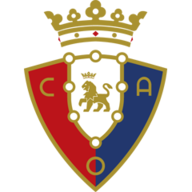 Sergio León (Osasuna) header from the centre of the box misses to the left. Assisted by Roberto Torres with a cross following a set piece situation. Alex Berenguer (Osasuna) wins a free kick on the left wing. Offside, Osasuna. Sergio León tries a through ball, but Oriol Riera is caught offside. Attempt missed. Alex Berenguer (Osasuna) left footed shot from the left side of the box is high and wide to the left following a corner. Attempt blocked. Oriol Riera (Osasuna) header from the centre of the box is blocked. Assisted by Roberto Torres with a cross. Corner, Osasuna. Conceded by Antonio Adán. Attempt saved. Alex Berenguer (Osasuna) left footed shot from a difficult angle on the left is saved in the top centre of the goal. Assisted by Oriol Riera. Goal! Osasuna 1, Real Betis 1. Roberto Torres (Osasuna) left footed shot from the centre of the box to the high centre of the goal. Offside, Real Betis. Petros tries a through ball, but Felipe Gutiérrez is caught offside. Second Half begins Osasuna 0, Real Betis 1. First Half ends, Osasuna 0, Real Betis 1. David García (Osasuna) is shown the yellow card for a bad foul. Foul by David García (Osasuna). Unai García (Osasuna) wins a free kick in the defensive half. Attempt missed. Roberto Torres (Osasuna) left footed shot from long range on the right is high and wide to the left. Foul by Jonas Martin (Real Betis). De las Cuevas (Osasuna) wins a free kick on the left wing. Corner, Osasuna. Conceded by Álvaro Cejudo. Corner, Osasuna. Conceded by Aissa Mandi. Oriol Riera (Osasuna) wins a free kick on the right wing. Attempt missed. Antonio Sanabria (Real Betis) header from the centre of the box misses to the right. Assisted by Joaquín with a cross. Offside, Real Betis. Antonio Sanabria tries a through ball, but Joaquín is caught offside. Delay in match Joaquín (Real Betis) because of an injury. Attempt missed. Sergio León (Osasuna) left footed shot from the right side of the box is close, but misses to the left. Goal! Osasuna 0, Real Betis 1. Joaquín (Real Betis) right footed shot from the left side of the box to the high centre of the goal. Assisted by Petros. Attempt missed. Roberto Torres (Osasuna) left footed shot from outside the box misses to the right. Assisted by Oier. Attempt missed. Didier Digard (Osasuna) right footed shot from outside the box is too high. Attempt blocked. Alex Berenguer (Osasuna) right footed shot from outside the box is blocked. Assisted by Oier with a cross. Antonio Sanabria (Real Betis) wins a free kick on the left wing. Corner, Real Betis. Conceded by Miguel Flaño. Corner, Osasuna. Conceded by Petros. Oriol Riera (Osasuna) wins a free kick in the defensive half. Attempt saved. Oriol Riera (Osasuna) right footed shot from the right side of the box is saved in the centre of the goal. Assisted by Sergio León. Corner, Osasuna. Conceded by Álex Martínez. Oier (Osasuna) wins a free kick on the right wing. Foul by Felipe Gutiérrez (Real Betis).